If you blindly follow the advertisements to buy your moisturiser, sunscreen lotion and whatnot, you may run the risk of skin irritation and allergies. Here's how to avoid that. New Delhi: Just because your favourite actor is endorsing a face wash or a beauty cream, does not mean that it is actually suitable for your skin type. At the same time, expensive does not always mean great. Some lesser priced beauty products do the job without making you loosen your purse strings. There are a lot of misconceptions about what kind of cosmetics you should invest in. "A beauty aisle is a crowded place. Too many options mean too much confusion. There are some best sellers and there are also a few promising newcomers. And there is always a salesperson trying to tell what would suit you the best," says Bharti Taneja, director and founder of Alps Beauty. Before you hit the makeup counter and get confused, do your research. Read the reviews to know more about the product you wish to buy. Ask yourself what exactly your skin needs rather than what’s new or hottest selling product in the market. Focus on how a product will work for your specific skin type. Different people have different skin types such as oily skin, dry skin, sensitive skin, and even combination skin. So, when it comes to makeup products – one size doesn’t fit all. The foundation that looks flawless on your friend’s skin might make your face look white and patchy. Keep your skin type and tone in mind and pick accordingly. Will it work for your skin type? Will it go with your skin tone? Test it to know it. A product may look fabulous on a model but will it offer the same results when applied on your skin. Ask the makeup artist or beautician to apply the product on your skin. It will give you a fair idea about the look and feel of the product. If you are trying some makeup, watch the makeup artist carefully – what all products she is using to bring that glow on your face, the technique and tools she uses. Everything looks so much better and brighter in the store lighting. It can make a huge difference in how your makeup really looks. After applying the product, leave the store for a couple of hours so you can see how the product looks like in more natural light. Take a selfie and see how it looks in pictures. – Is it giving you the desired results? If yes, then buy it. If not, then just let it go. It may sound like a boring task but it’s worth your time to know what exactly you are buying. First and foremost, it should not have any harmful chemicals such as lead, silicone, artificial dyes, petroleum or aluminium. 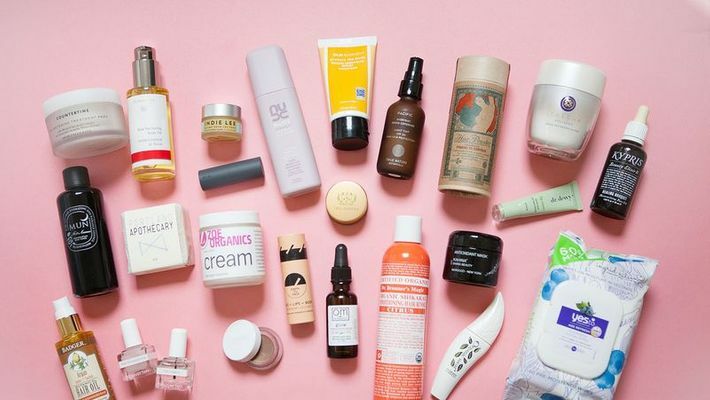 Studying the back of the box is especially important when buying skincare products because unlike makeup products, these get absorbed into the skin. It’s an obvious point but most people underestimate its importance. While shopping, we get so enamoured by the look and packaging of the product that we forget to look at the expiry. Some products have a new price tag slapped on them at a discounted rate. These soon-to-expire products are a total waste of money, as the product would become worthless in a few days. Also, make sure the batch code is still on the bottom and hasn’t been scratched off. If it’s not there, beware – it could be a fake product.